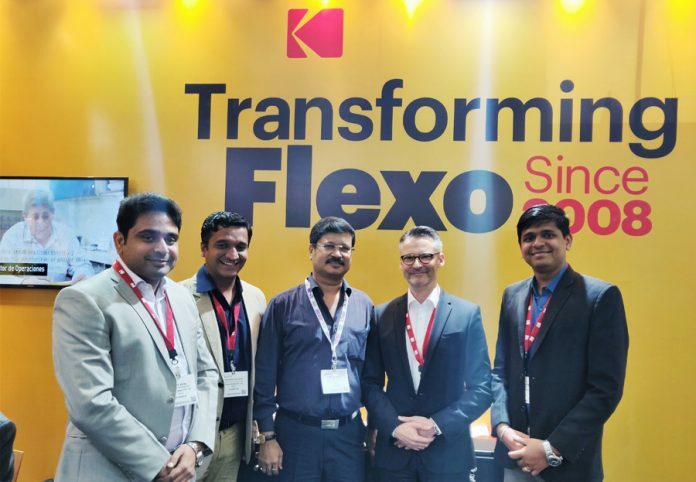 L-R: Amit Koul (Sales Manager for Kodak FPD – North & East), Hrishikesh Kulkarni (Sales Manager for Kodak FPD – South & West), Nitin Patil (Director, Numex Blocks), Sandor Meszaros (Regional Sales Leader for APR, Kodak FPD), Sreeragh Iyer (Technical Application Executive for Kodak FPD – India). 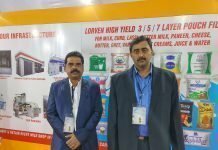 Mumbai-based Numex Blocks, a leading flexo prepress provider from Mumbai, has chosen Kodak FLEXCEL NX 5080 System for catering to burgeoning demand for high quality flexographic plates. 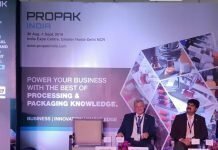 Numex Blocks has confirmed its purchase of a Kodak FLEXCEL NX 5080 system on the second day of Labelexpo India 2018. 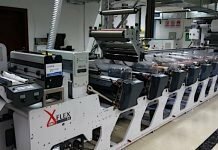 With the capability to image Kodak FLEXCEL NX plates up to a maximum of 50 x 80 inches in size with the new equipment, Numex aims to cater to a larger base of printer and convertors. 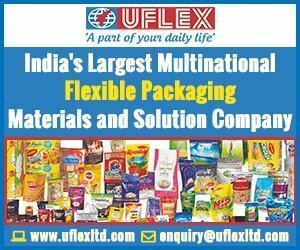 The FLEXCEL NX Wide 5080 System allows users to maximize plate making productivity and minimize waste. 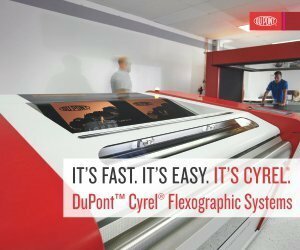 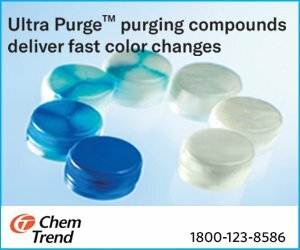 It brings all the benefits of the KODAK FLEXCEL NX System to print applications with larger form size requirements too.